Coming in from out of town and need a hotel? CRIT Live at Carnegie Mellon University will be held on Saturday, March 30, 2019. 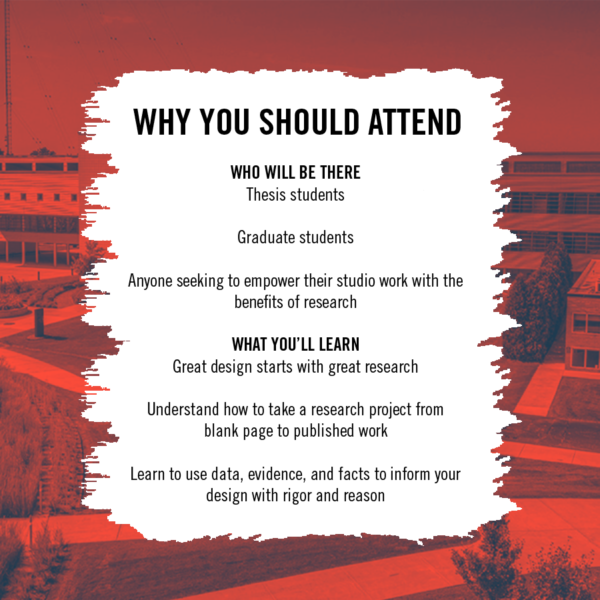 Each program will consist of a professional research tutorial workshop, panels exhibiting student research projects, and a showcase of the 2017-2018 CRIT Scholar work. 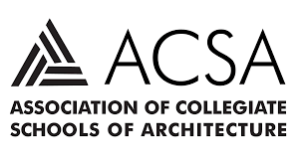 *Please note that an AIAS CRIT Live registration also gives you access to the entire ACSA Annual Meeting Conference, including their keynotes, workshops, sessions, and more! Check out their conference schedule today! Regenerative Design for the Urban Roofscape of Old Delhi, India. This project investigates the potential of existing underutilized rooftops in a dense urban fabric of the city of Shahjahanabad – the walled city within Delhi; to explore the opportunities to reintroduce urban green space for the improvement of ecological conditions while integrating it with the socio-cultural life of the community. This research project probes the ways in which future architects might challenge the brute force implications of progressive assembly with mycelial self-assembly. In addition, Sinan explores novel approaches to storytelling and teaching. This case study investigates how energy literacy initiatives can be multifaceted and site-specific. The study proposes devices that engage community members of Canyon, TX, at an agricultural and individual human scale. This research project took a critical look at public spaces and what types of experiences they create for its users. Pushing further, the research focused on ways to engage people in conversations about how to create and design spaces that are and feel inclusive to all people. This research focused on third-party certification systems, greenwashing in architecture, and the role of third-party incentives in sustainable design. The scholar used questions to reframe what is possible and what is greenwashing in the world of modern sustainable design. RE_TOLD and the HOME Inc.UBATOR are community outreach and engagement tools which are attached to a bike. Initially the UDBS will deploy it in Pittsburgh’s East End Communities (East Liberty, Garfield, Homewood, and Larimer) this Spring to help engage residents in conversation about housing and housing related issues. RE_TOLD is a mechanism for residents to be heard. It is a container for video and audio equipment that will be used to record narratives by local residents so that they can be re-broadcast/re-told. The hope is that recordings and narratives captured with this mobile recording studio can aid in breaking biases related to socio-economic condition. As a Building Scientist, Andrea’s interests are in pushing the performance and minimizing the environmental impact of her projects. She also enjoys building Payette’s knowledge and intuition about sustainability through research endeavors and project explorations. This session is an introduction to research in the profession with tips and tricks for those wishing to start a project. *Please visit ACSA’s 107th Annual Meeting Conference Schedule for the pre- and post- conference events you are welcome to attend. The deadline to register for CRIT Live is March 24, 2019. Reserve your spot now – registration is limited this year!